Rotate the probe holder adjustment knob and attach probe holder to a frame bar. 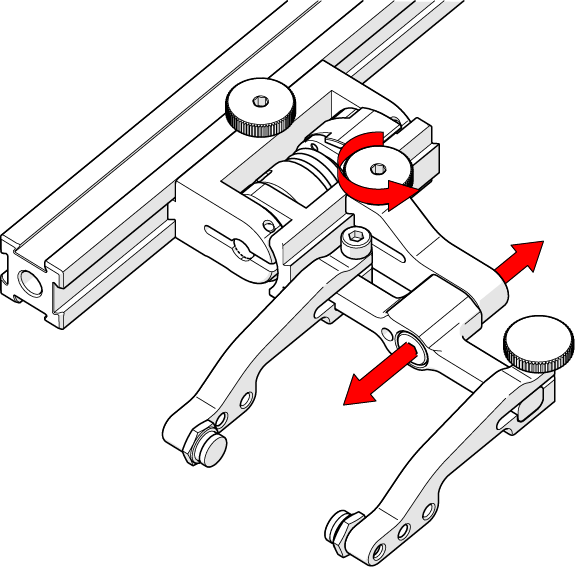 Use the probe holder adjustment knob to position the probe holder along the frame bar. 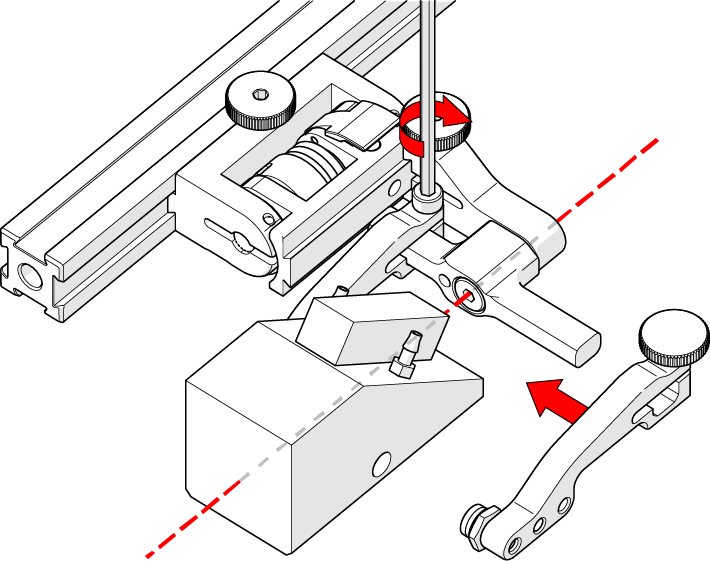 Use swing arm knob to position the swing arm. Tip: The swing arm is typically used to adjust TOFD center to center distance relative to the phased array probes on a four probe configuration. 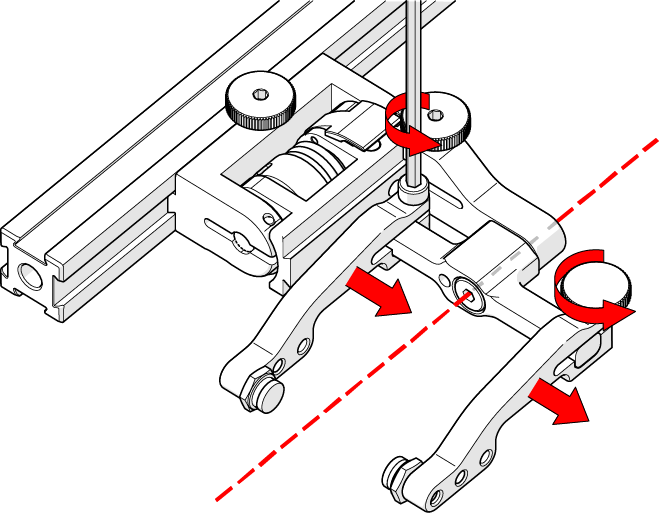 Using a 3/8 in wrench (supplied with any JIREH scanner kit), place the pivot buttons farthest from the yoke for maximum wedge clearance. 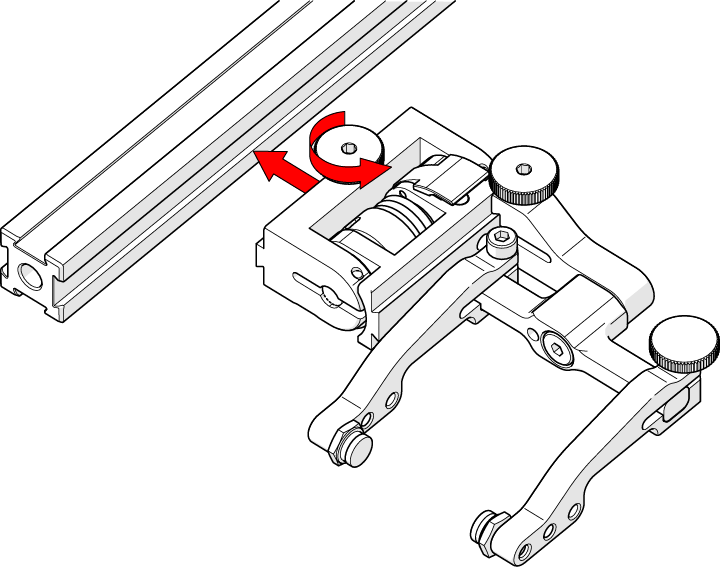 Tip: If narrow scanning footprint is required, use pivot button holes closest to the yoke. Wedge pivoting may be impeded when closer to the yoke. Loosen the probe holder arm adjustment knob and remove outer probe holder arm from yoke. Adjust inner probe holder arm as required to best centre the probe on the yoke’s pivot axis. 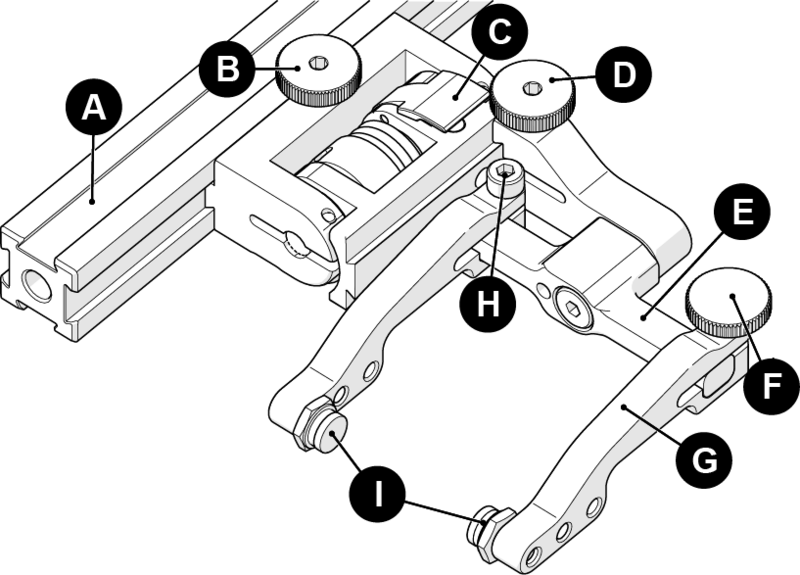 Tip: The probe holder yoke can accommodate many different probe and wedge sizes of varying widths. 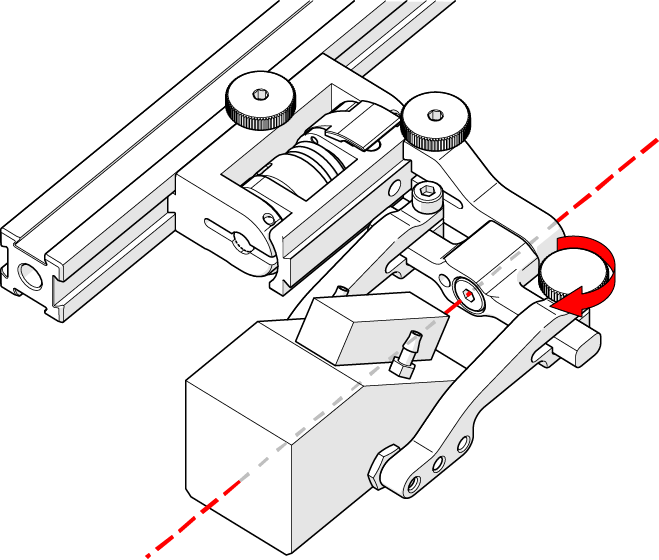 It is best to centre the wedge with the yoke’s pivot axis to reduce wedge tipping when scanning. 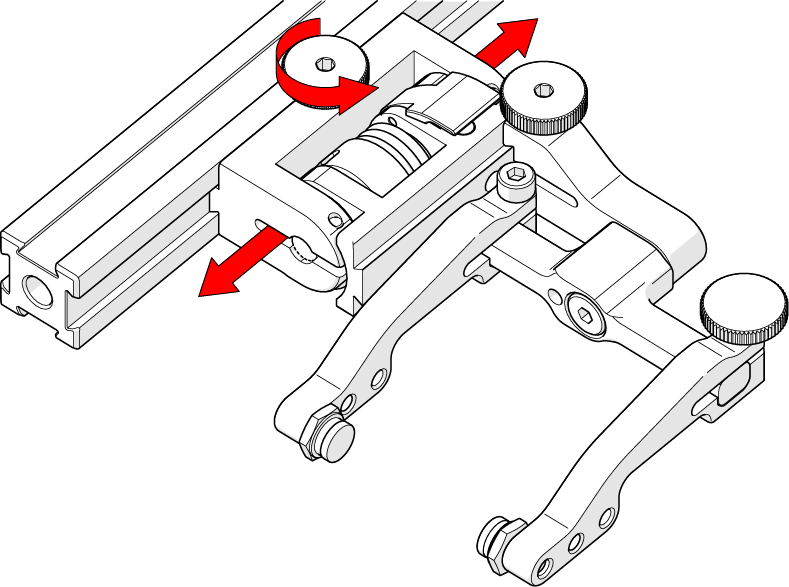 Position the inner probe holder arm accordingly with the centre of the yoke. Slide outer probe holder arm along the yoke pinching the wedge in place. Tighten probe holder arm adjustment knob.